A witness at Puducherry, India, reported watching a “white colored, self-revolving cone” UFO that hovered under the cloud cover less than one mile away, according to July 11, 2014, testimony in Case 896 from the Mutual UFO Network (MUFON) witness reporting database. The object was seen for about two minutes on June 15, 2014, while the witness was waiting for a traffic signal. But the object soon disappeared from sight. The witness included one illustration of what the object looked like (see above). 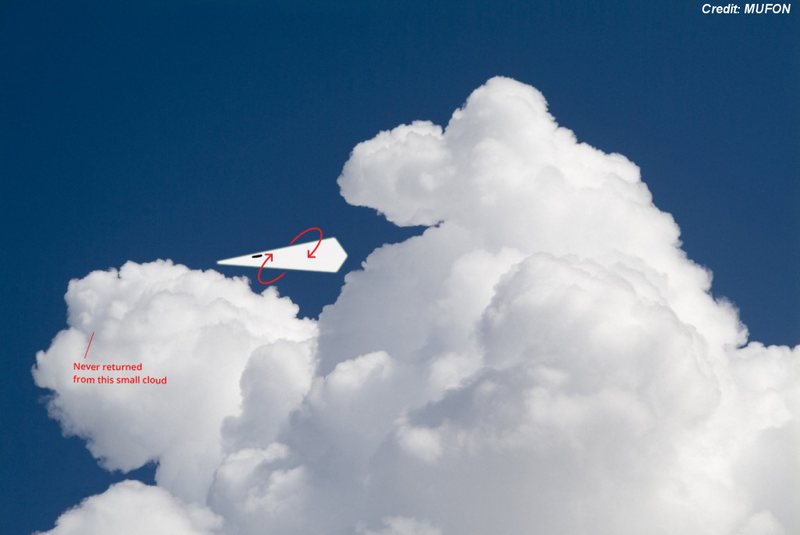 Cool paper airplane! And I'm at a loss as to how the witness knew it was "self-revolving".